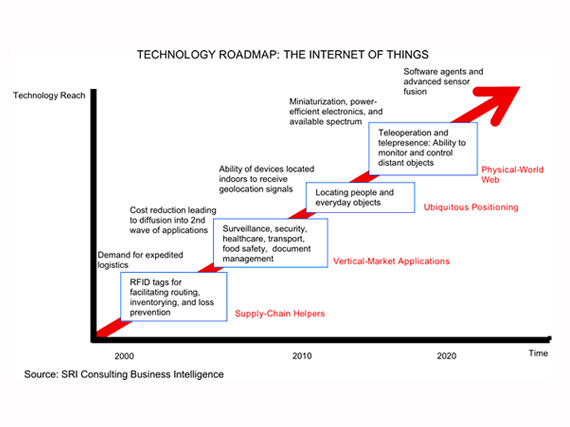 Start What is Next for IoT? 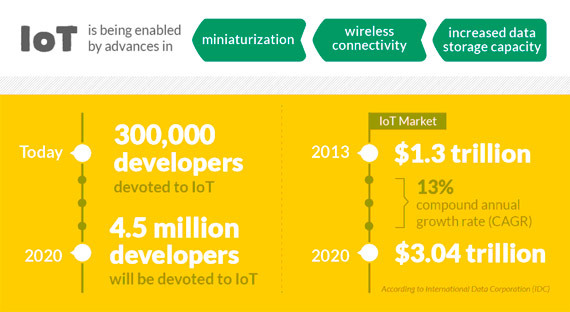 The Internet of things (IoT) is one of the most exciting trends in the recent history of technology so far. As connectivity, storage, and compute become more universal, we’re seeing an explosion of IoT solutions, from health care to public safety, all pointing towards one conclusion: The IoT is here to stay. As with any other trends in technology, it’s starting to required new generation of platforms, standards, regulations, and protocols to name few. The rapid evolution of the IoT market has caused an explosion in the number and variety of IoT solutions. Additionally, large amounts of funding are being deployed at IoT startups. Consequently, the focus of the industry has been on manufacturing and producing the right types of hardware to enable those solutions. In that model, most IoT solution providers have been building all components of the stack, from the hardware devices to the relevant cloud services or the solutions (as indicated in diagram below). As a result, there is a lack of consistency and standards across the cloud services used by the different IoT solutions. As the industry evolves, the need for standard models to perform common IoT backend tasks, such as processing, storage, and firmware updates, is becoming more relevant. In that new model, we are likely to see different IoT solutions work with common backend services, which will guarantee levels of interoperability, portability and manageability that are almost impossible to achieve with the current generation of IoT solutions. Platform: This category includes , form and design of the products (UI and UX) , analytics tools used to deal with the massive data streaming from all products in a secure way , and scalability which means wide adoption of protocols like IPv6 in all vertical and horizontal markets . Connectivity: Connectivity includes all parts of the consumer’s day and night using wearables, smart cars, smart homes, and in the big scheme smart cities. Form the business prospective we have connectivity using IIoT (industrial Internet of Things) where M2M communications dominating the field. Killer Applications: Three functions needed in any killer applications, control “things”, collect “data”, analysis “data”.